It’s as if your grumpy uncles made music! I really like Stupidity and Social Media. "Your Grumpy Uncle." I see what you did there. I don’t normally comment on PSB’s posts,I do have a small amount of PSB’s releases (Domino Dancing CD single,Pop Art) plus I love the early singles,but for me it’s Erasure all the way. BUT I must repost this article I’ve just read from Superdeluxeedition,as it pains me to say Erasure & their management should seriously read this and take note. I don’t care who you are,and whatever excuse/reason you give out without the fans buying the product,you wouldn’t still be here,that’s a FACT ...... no band or artist will continue to release music if nobody buys it .... end of. Neil Tennant and Chris Lowe – the Pet Shop Boys – have always understood the artist-fan relationship better than most, and here we are, almost 35 years after they first issued 'West End Girls' (it flopped in 1984) and they still put their contemporaries to shame. Duran Duran have all but given up with irritants like 'releasing records', a-ha aren't much better and while, to be fair, Depeche Mode do still try, nobody does it better than the PSBs. They just seem to 'get' how to react to changing times without alienating anyone. When, for a while, it looked like iTunes might take over the world and downloads were king, the Pet Shop Boys still issued CD singles (and vinyl) to keep fans of physical music happy, but also put together some thoughtful download 'bundles' too. Now in an era of Spotify and YouTube, they still can balance the old and the new, seemingly effortlessly. For four consecutive days last week, they released a new song, with lyric videos appearing on YouTube. 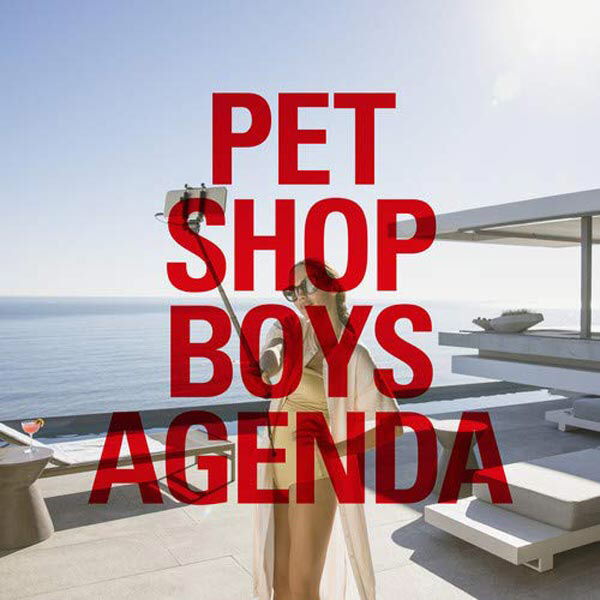 Towards the end of this process, they announced that the 'Agenda' EP would be available to buy digitally, but also as a 12-inch single and on a CD given away FREE to purchasers of their Annually 2019 book. Bravo! Not only that, all four songs are exclusive to this EP – they won't be on their next album! I hate to pick on Duran Duran, but they didn't release ANY physical singles from their last two albums here in the UK (the last time that happened was 11 years ago) never mind knock out a quick EP full of non-album tracks between long players. If quizzed, artists no doubt would have their excuses ready: it's not 'economical' to put out physical singles... there's no market anymore... we're too busy touring... we find it hard to be in the same room together... but these are exactly that - just excuses. Neil and Chris can make it work and, crucially, they seem to understand the marketplace and know who their fans are! Artists need fans, and the best way to nurture that relationship is to do interesting things. Release singles, record B-sides, put out EPs and so on. Surprise and delight them. Giving a millennial control of your twitter feed for four years ("what's your favourite lyric?") while you toil on a new album, scrap it, fall out with a record label, do loads of corporate gigs and 'redefine' your sound, is not the basis for a healthy relationship. Last edited by Pughie on Mon Feb 11, 2019 3:43 pm, edited 1 time in total. Artists need fans, and the best way to nurture that relationship is to do interesting things. Release singles, record B-sides, put out EPs and so on. Surprise and delight them. Love that bit. A surprise Erasure EP would indeed be most welcome. But back on topic, it was nice to have a little PSB surprise. However, the songs were just *OK* for me. I'm sure the better material is being saved for the album. A couple of years ago, Sting & Peter Gabriel did a tour together where they were on stage for a full 2 hours and even did a couple of covers of each other’s songs. I thought that would have been a great concept for Eeasure/Yaz. That would be orgasmic, to put it bluntly!! If you love that...this is a nice tease too.